Follow Thomas, Angela (which you already met in “Une Semaine à Paris“) and their 7 year old daughter Laura as they vacation in France and go spend a week in Paimpol, a wonderful small harbour town on the North Coast of Brittany. It also includes a recorded Q&A section to practice your French out loud and check your understanding of the story. 6.5+ Hours of story chapters + Q&A exercises – all professionally recorded by a Parisian native + 172 pages transcript with English translation. Having bought and used most of the À Moi Paris audio books, I bought the two novels and have really enjoyed them both. They’ve definitely improved my understanding of French and are great for listening on long car journeys. I’d definitely recommend. Everything I have purchased from french today has been amazingly helpful on my language journey. I can highly recommend the audio novels complete with translation if you need it. The emails I receive with tips and bilingual stories are really useful too and I have also met up with one of the French immersion tutors who happens to live nearby to my Brittany holiday home. Camille is very supportive and encouraging and always available to help by email or on facebook. Your entire approach and series are 5 (FIVE *****s) Love it all! I look forward to every email, and athough I may not have time at the moment I receive them, I save every one. What I like about French Today, having bought a couple of lessons from Camille and Olivier, which were very helpful, they keep in contact. I receive free French lessons every Thursday by email and they are not insubstantial lessons. You get a friendly feel about them and are not just about money. In October I am going on an immersion course with Julie in Provence, really looking forward to that. I would definitely recommend this ‘book’ as a fun, relevant way to improve your French. It’s an engaging story, providing lots of useful holiday/travel vocabulary & expressions. 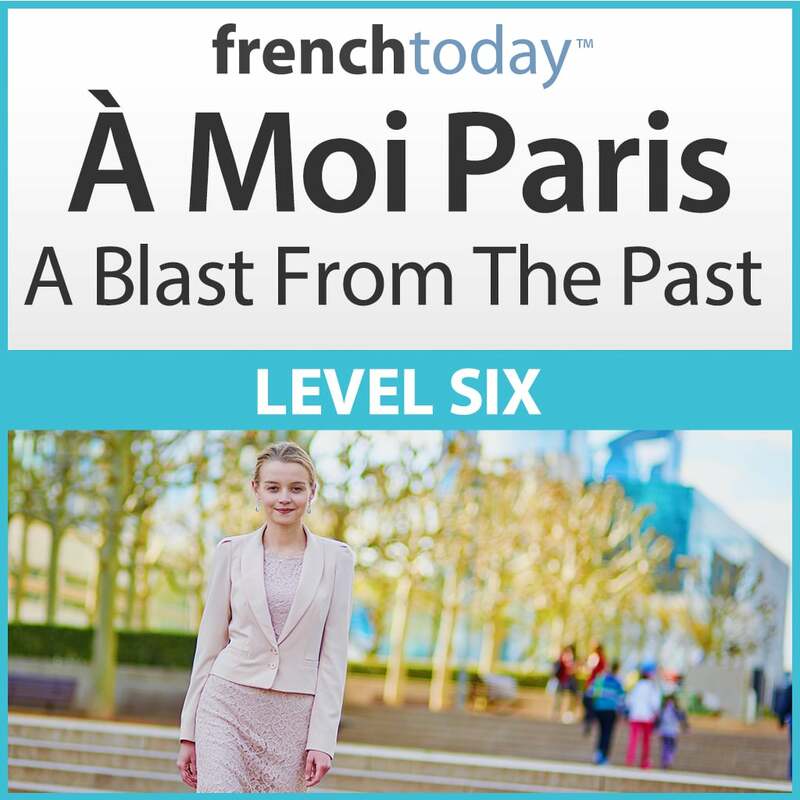 Each section is followed by 20 comprehension questions, which are a great way to practise spoken French. You’ll be surprised by how much study you can get from each chapter- it says 6h 47m for the audio, but you can work & rework the materials several times. The App is easy to use & if you have any questions, a response comes promptly from French Today. After 30 years of involvement in evrything french, I decided to develop my conversational skills. 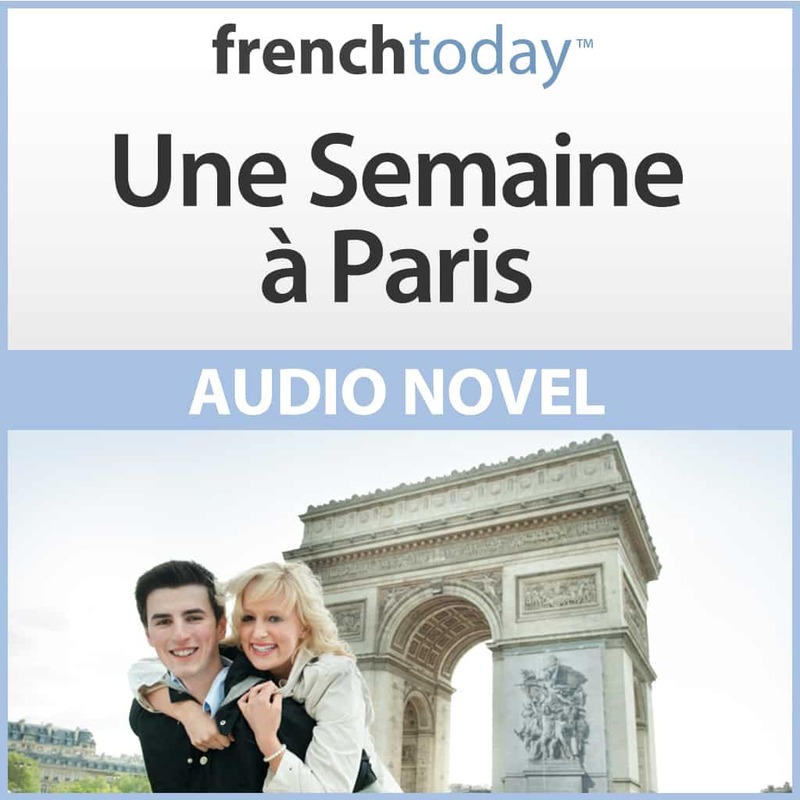 This audio novel and the approoach it uses has helped me in comprehension of spoken french. My wife and I are in Paris as I write this. I am trying to involve myself in more extended discussions with Parisians every day. Your audios and tips have been a big help. Especially in repetition of sentences and phrases used in discussions of favorite topics of mine. French singers and songs as well as food and wine. Thanks for the work you and your family are doing to help learners of a beautiful language. I’ve been studying conversational French for 3.5 years. For me, practice with audio is ideal, and the materials from French Today are exactly what I need. I’ve made real progress, and I owe it to hard work, and French Today. 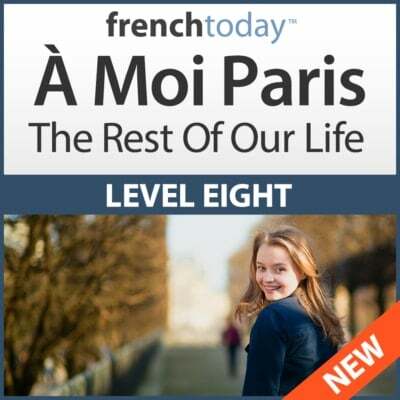 Not only does this audiobook represent excellent value, it also is an excellent aid to anyone who wants to learn real French. The text, with the English translation, helps me learn not just vocabulary, but also, importantly, sentence construction. Without question, the audio files help me learn to understand French as it is spoken, in addition to helping me learn how French is pronounced. I strongly recommend this book, and the others in the audiobook series, to anyone who seriously wants to learn how to understand, speak and write French. Since I commenced using these audiobooks, my comprehension of spoken French has improved considerably, and I am much more confident in speaking French. J’adore l’histoire de Paimpol! You are a wonderful storyteller, both in writing and in the recording. So alive and vibrant. I’m thoroughly enjoying learning as I go. If I can learn all there is just in this one story I’ll have multiplied my ability in this beautiful language by an enormous amount. It’s somewhat staggering, but I’m really enjoying this. It is taking some time as I read each story aloud and really contemplate the meanings so that I can learn better. I am also copying the audio of each chapter as I finish it to my Tascam recorder and listen to all of them each night while I sleep, both in slow speed and then in street speed. I’ve now finished 13 chapters so tonight I’ll be listening to 26 chapters! I haven’t yet added in the Q&A, but might just go for it tonight. 26 chapters and 13 Q&A! Youpiii! I really value these audiobooks from FrenchToday.com. The subject matter is approachable, the different speeds of reading is helpful, it’s great to have the transcript to refer to when you are stuck, and the other files that come with it (eg Q&A) are very useful as well. In New Zealand, it’s not easy to practise hearing spoken French so these books are great. I really enjoyed the story, especially as we spent some time in Brittany in 2012, staying at Trégastel and visiitng Bréhat and walking along the sentier des dounaniers in Perros_Guirec. We now think we missed lots of other attractions and need to return! My one comment about the printed material is that I would prefer that the translation was in a separate document ( as in à moi paris), rather than immediately under the French text. I think the layout makes it difficult to ignore the English translation. I always look forward to receiving my French Today tips, cultural notes and travel stories. Merci beaucoup! Thank you for your great review Wendy. Regarding the translation within the same document, we ran an extensive poll last year asking this exact question and the results were that most people preferred the translation in context versus having to hunt around in a different document (you must have an older version of A Moi Paris because the new ones follow the same format). Cheers. Une Semaine A Paimpol includes most of the vocabulary needed to navigate authentic situations , including some likely disasters, when on holiday in France, in a charming and memorable way. If we did not know Paimpol and area well already we would certainly be encouraged to visit. Hopefully when we go back to Brittany the sound of Camille’s pronunciation and phrasing will be in our ears. I am enjoying listening to this – the slow version at the moment! and working on some of the exercises. So much of the vocabulary and many phrases are relevant to everyday life. A really great product. 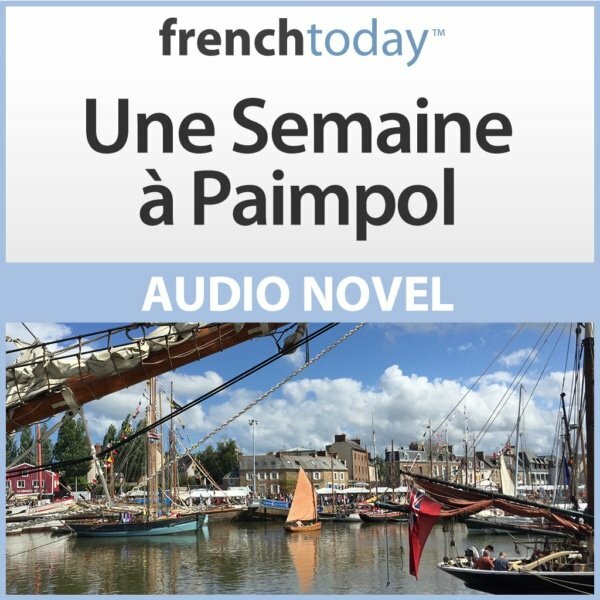 “Une Semaine à Paimpol” is an excellent audio novel, which I would recommend to all levels of French students. Very useful, every day language is employed – the kind of things you are likely to want to say yourself! 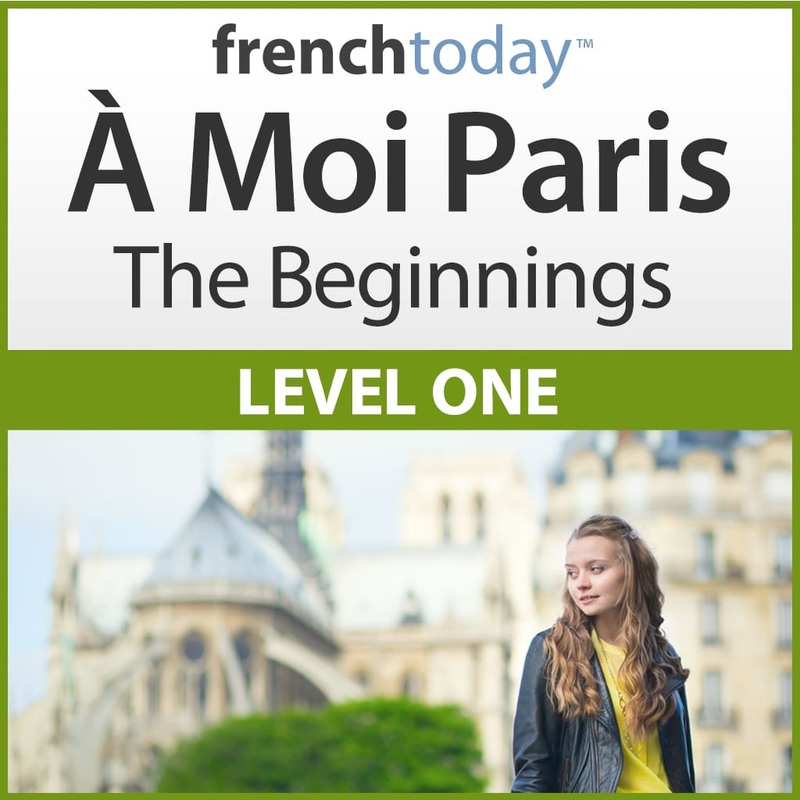 The audio is extremely clear and overall this a first-rate aid to help one speak better French.